Non-repudiation- At a later stage the initiator/sender of the information cannot deny his or her intentions in the formation or broadcast of the information. Integrity- The data cannot get distorted while it is still in storage or transit between sender and intended receiver without the change being detected. Authentication- The destination of the information and identity of sender and receiver can be confirmed. Procedures that meet the above criteria are known as cryptosystems. Cryptosystems also include the regulation of human actions like choosing passwords that are hard to guess, logging off idle systems, and not discussing sensitive protocols with outside parties but they are mostly thought to relate only to mathematical procedures and computer programs only. Although modern cryptography techniques are virtually unbreakable but sometimes encrypted messages can be broken by crypt analysis, also known as code-breaking. However, it’s still very effective to use it to protect the sensitive data. 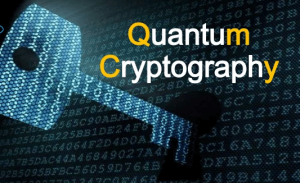 In recent times, Cryptography has also proved a critical factor in achieving success in war and business due to the ability to securely store and transmit sensitive information. Because there is such crucial information that officials do not want to share with individual entities as it may hamper the national security in some way.